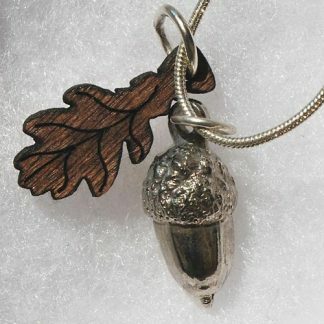 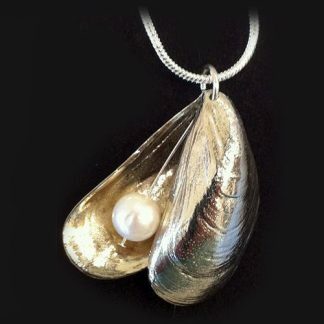 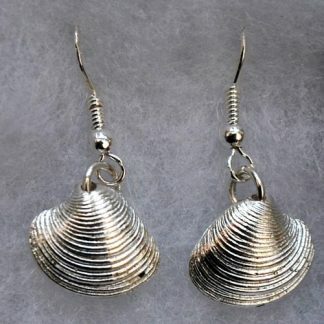 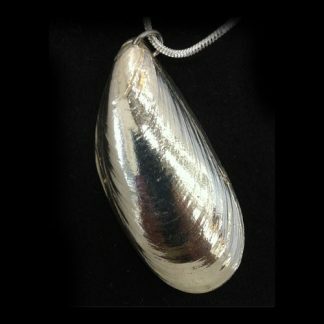 Two halves of a venus clam shell cast in pewter and silver plated with a freshwater pearl hanging inside. 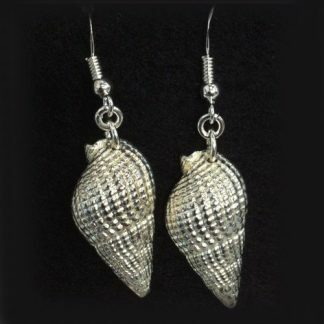 Each shell approx 2cm x 2cm. 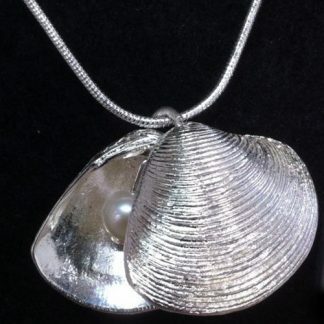 Original clam was found by Harry and Oska on Wiseman’s Bridge beach, Pembrokeshire.